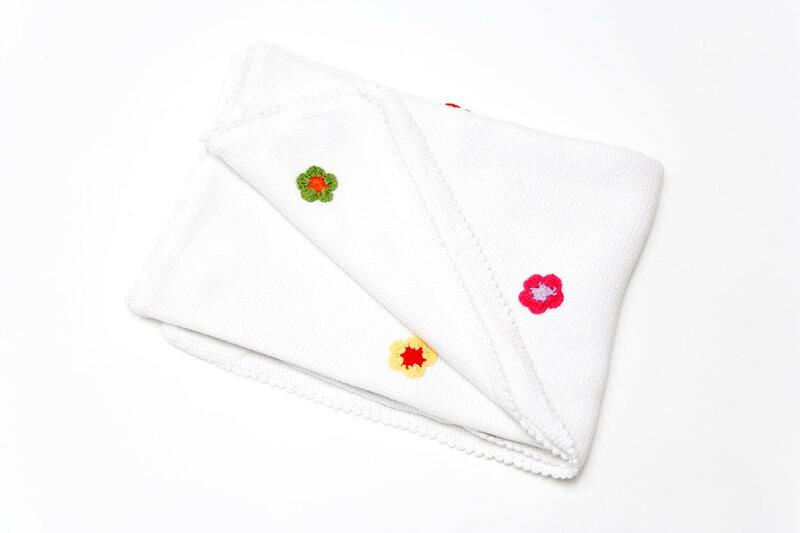 White knitted cotton baby blanket with embroidered flowers. This blanket makes an ideal baby shower gift or newborn baby present. Perfect size as a swaddle blanket or in a pram or buggy. Please note that the blanket is in the sale because the boxes are damaged. the blanket is perfect but the box will be slightly battered. Fair trade, handmade, machine washable. Pebble products are handmade so sizes can vary. Dimensions are given as a guide only.